The first White Store. Photo donated by John Wielgus. On the photo, The White Store is actually referred to as Prokopovitz Bros. The Big White Store on the front of the building is clearly displayed. 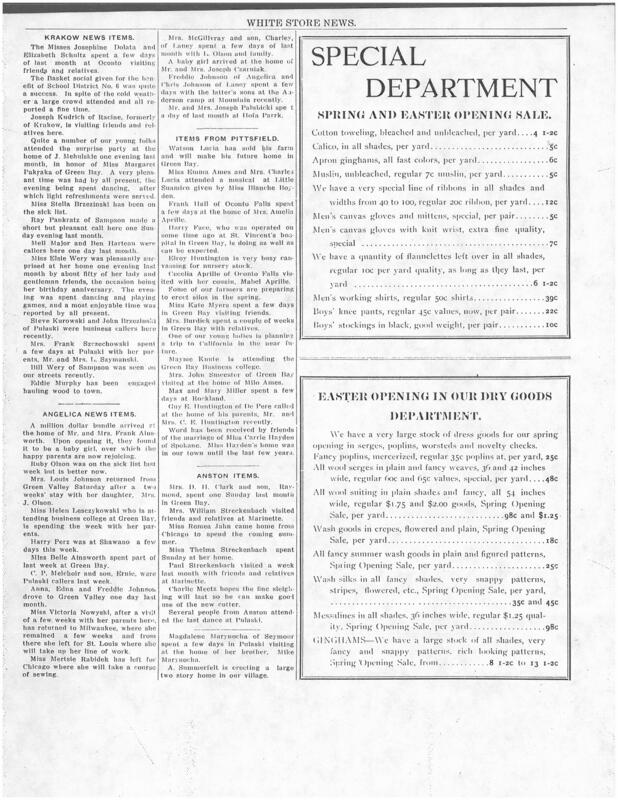 Following the photo is Volume 2 , Number 14, The White Store News. 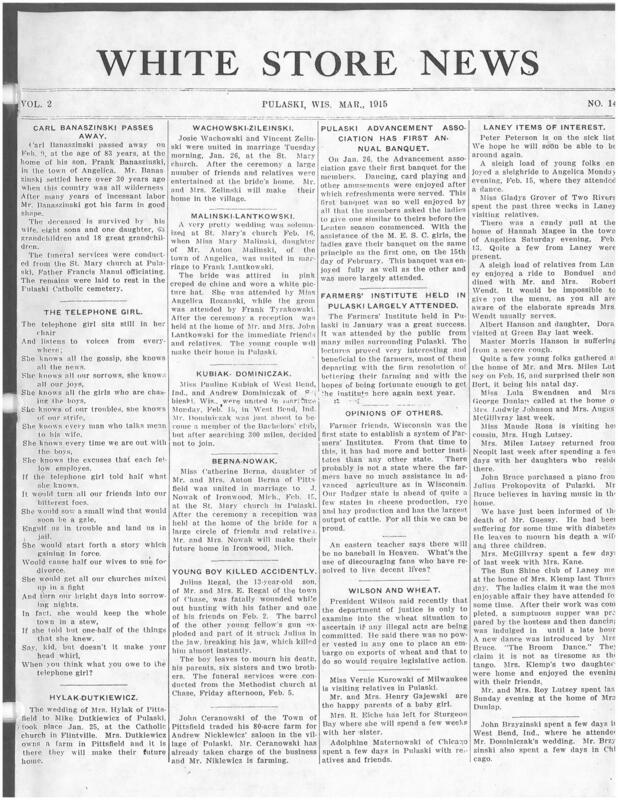 This consisted of information such as obituaries, marriages, banquets, happenings, accidents. 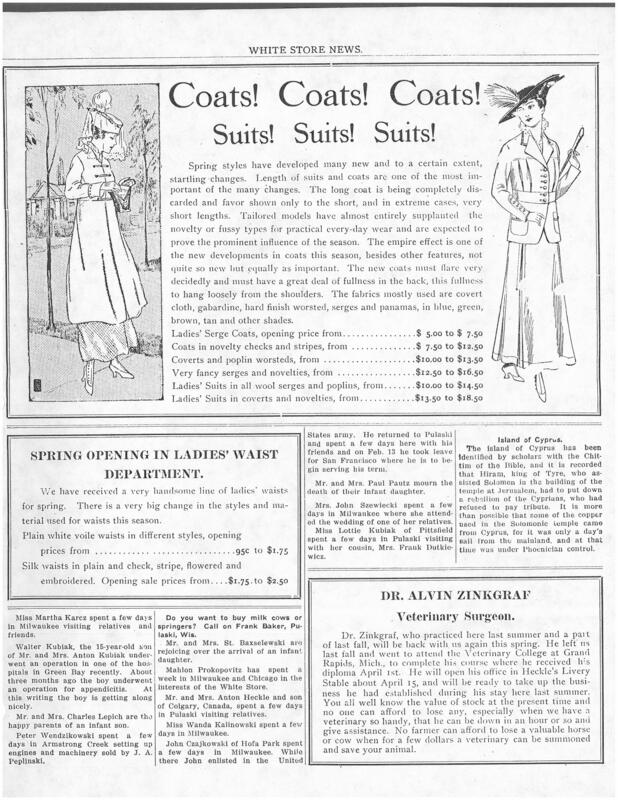 The White Store news also contained advertisements for the store as well; shoes, hats, Easter suites for men, petticoats for the ladies, skirts, dress and coats. 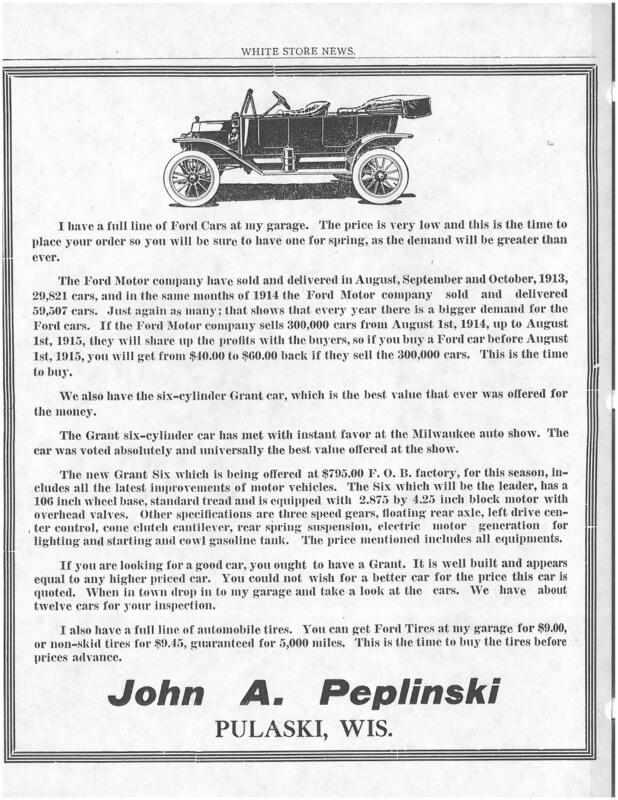 In this edition, John A. Peplinski even put an advertisement in for Ford Cars. 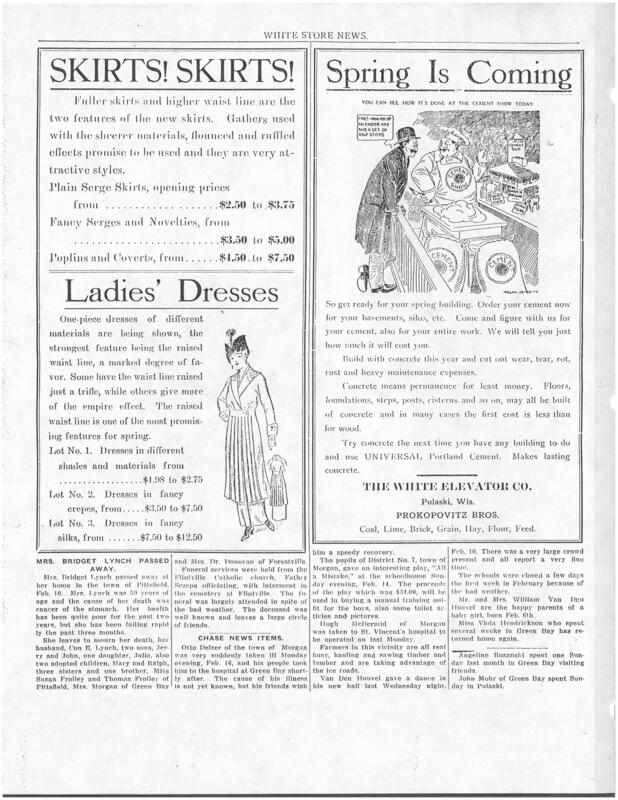 Neighboring communities such as Krakow, Angelica, Anston and Pittsfield were included in The White Store News. 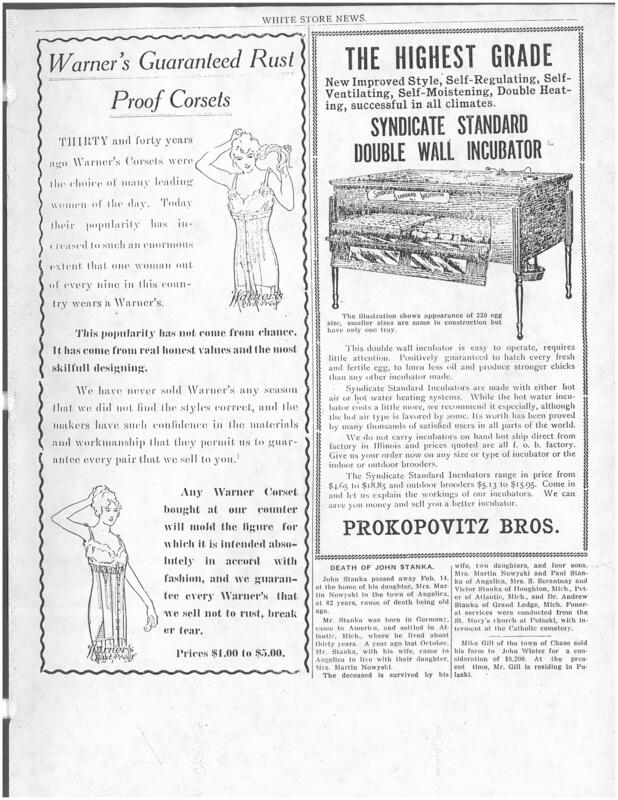 In addition, the White Store News (1 page) is included at the end – December 1919. White Store News, Suits for Boys, Spring Opening, Pulaski State Bank and other info. 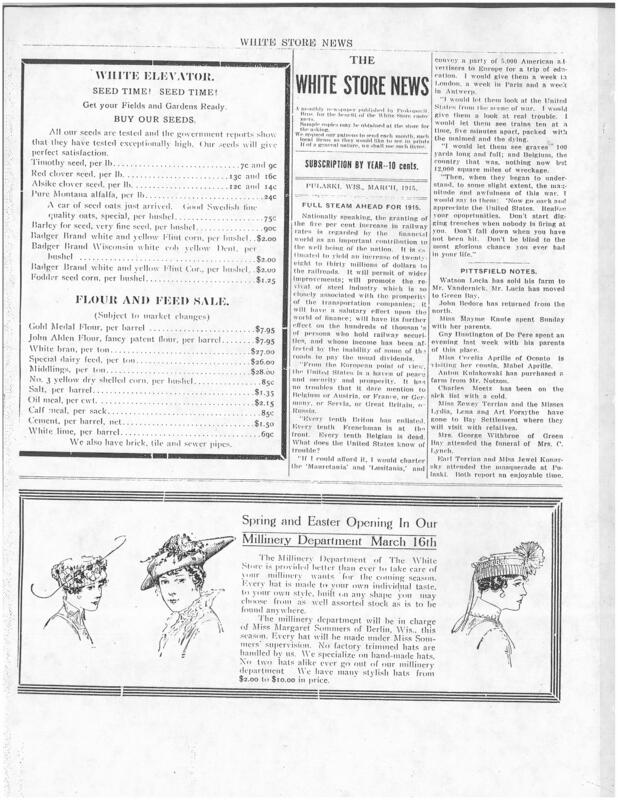 White Store News, December 1919, Births, Marriages and business announcements. From the picture books of Maggie Gajewski…Can you help us identify any of these photos? 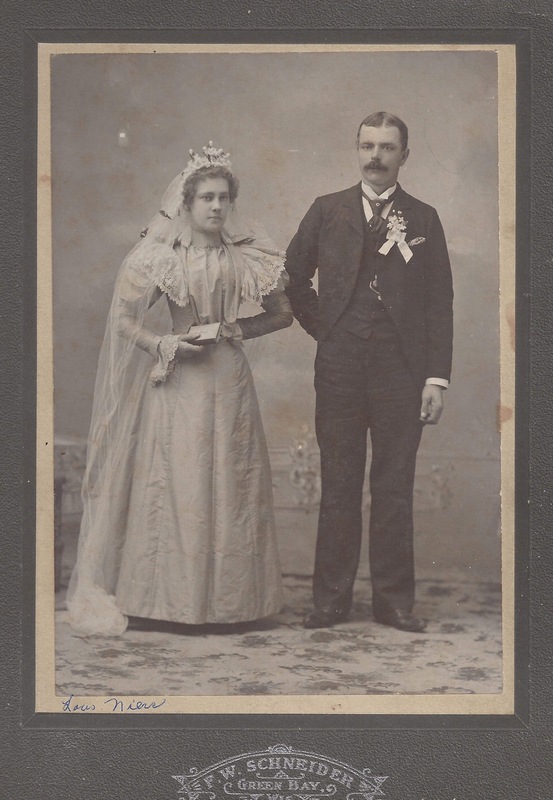 Photos are donated to our museum from time to time. We don’t always have information on who is in the photos or what the photos are about. That is where we rely on you. We are hoping to gain insight into this collection from the picture books of Maggie Gajewski, that was donated to the museum. 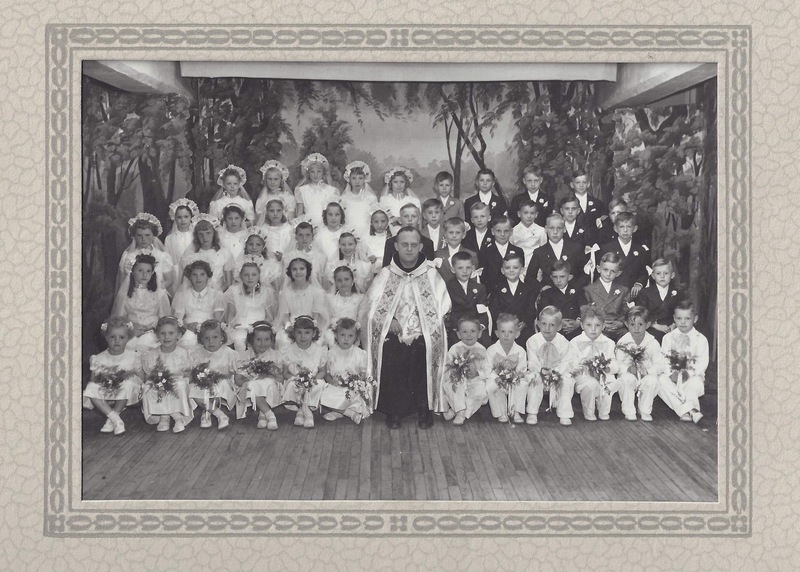 The photos are a wide assortment; from little girls, fishing, to formals, weddings, communion, church photos and more. 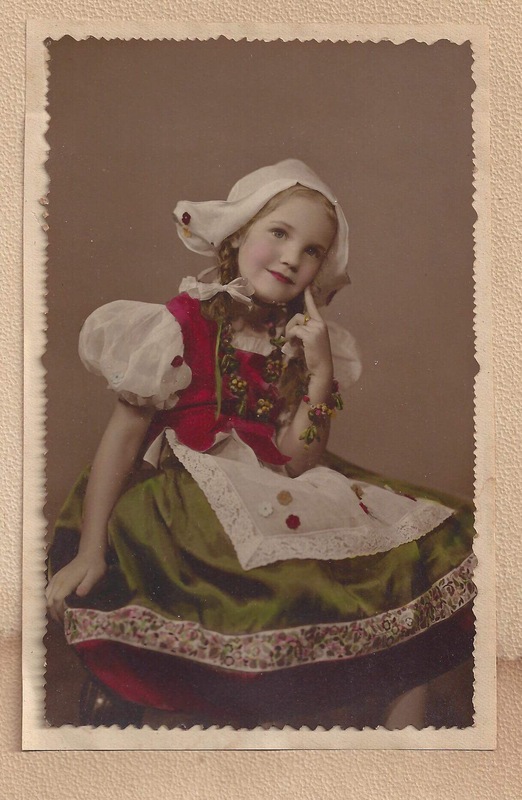 If you have any information on the following photos, please let us know, email: pulaskimuseum@gmail.com. Watch for additional photos as Maggie Gajewski’s collection was large. As we receive help identifying these people we will post the information on our website. Keep looking back for more photos. Harriet Spera_Photos from Maggie Gajewski. Help identify these children. Photos from Maggie Gajewski. 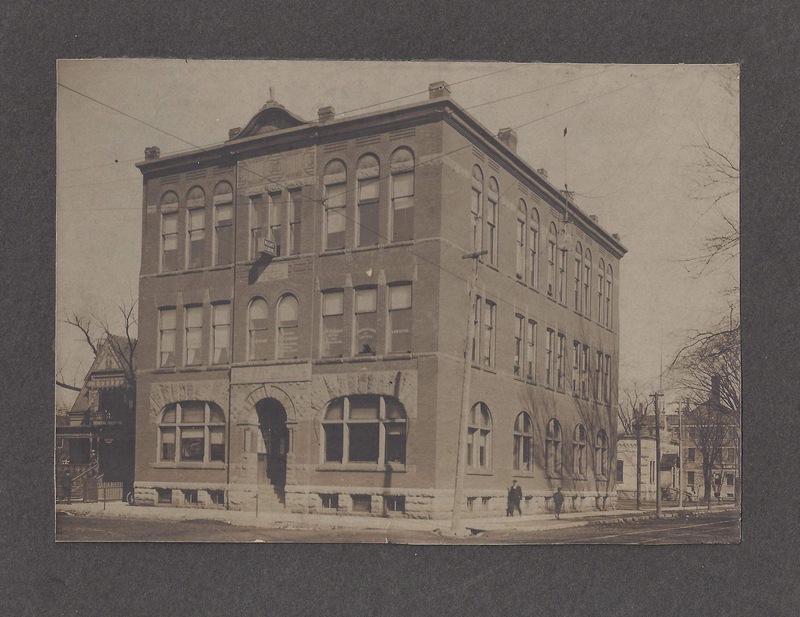 The sign on this building appears to say “Night School” Can you help identify this photo from Maggie Gajewski? 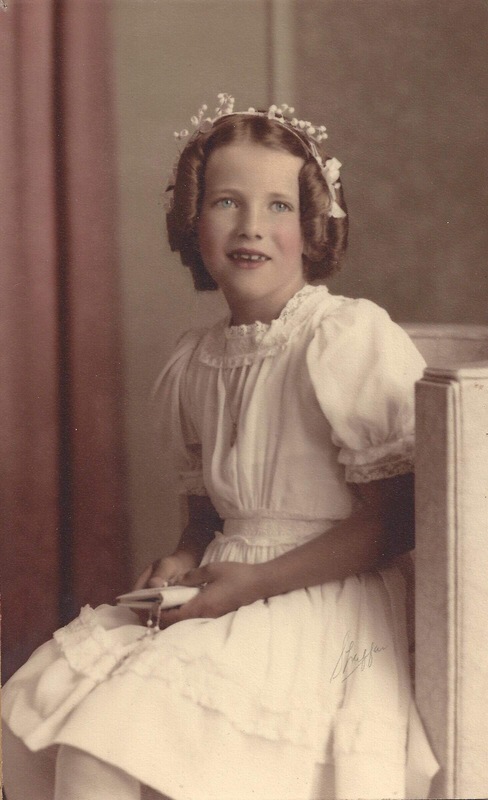 Little girl, first communion. Can you help identify her. Photo from Maggie Gajewski. Could this be a photo of a teacher? We aren’t sure. 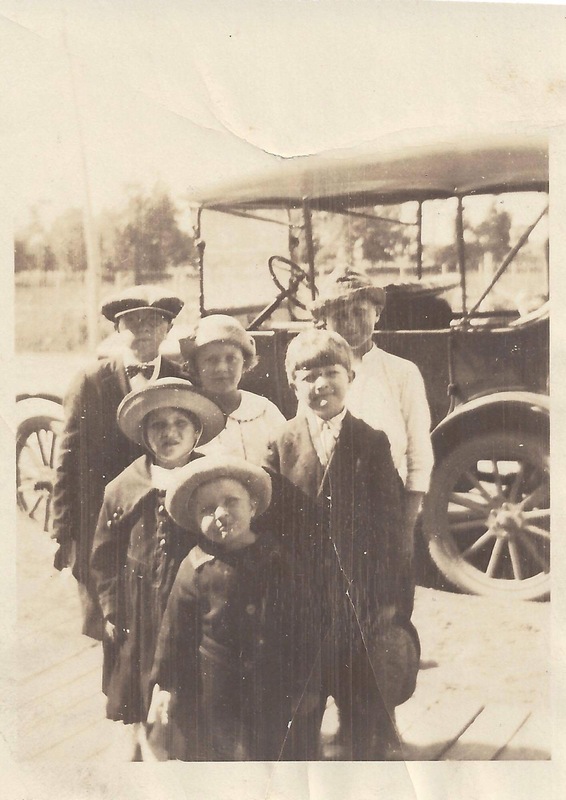 Help us identify this photo from Maggie Gajewski. 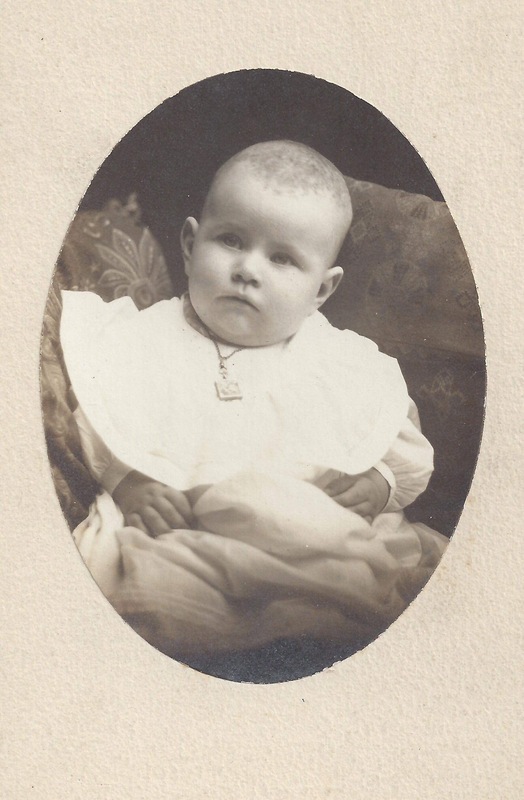 Baby photo of who? 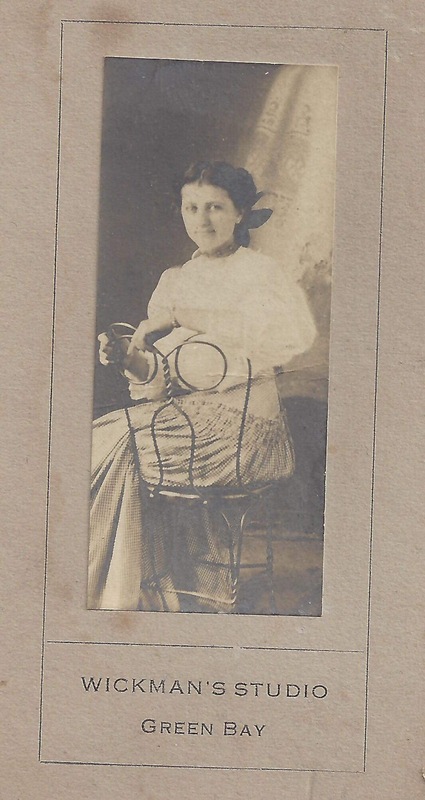 Help identify this picture from Maggie Gajewski. This photo apparently taken at Wickman’s Studio in Green Bay. Who is this young lady. 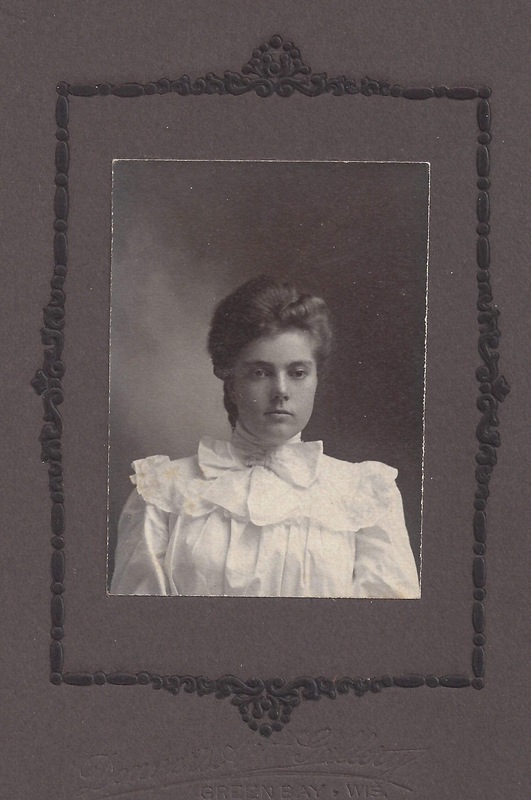 Help identify her, from the photos of Maggie Gajewski. Any idea who this is? Photo from Maggie Gajewski’s collection. Help identify. Another young man we need identified. These photos from Maggie Gajewski. 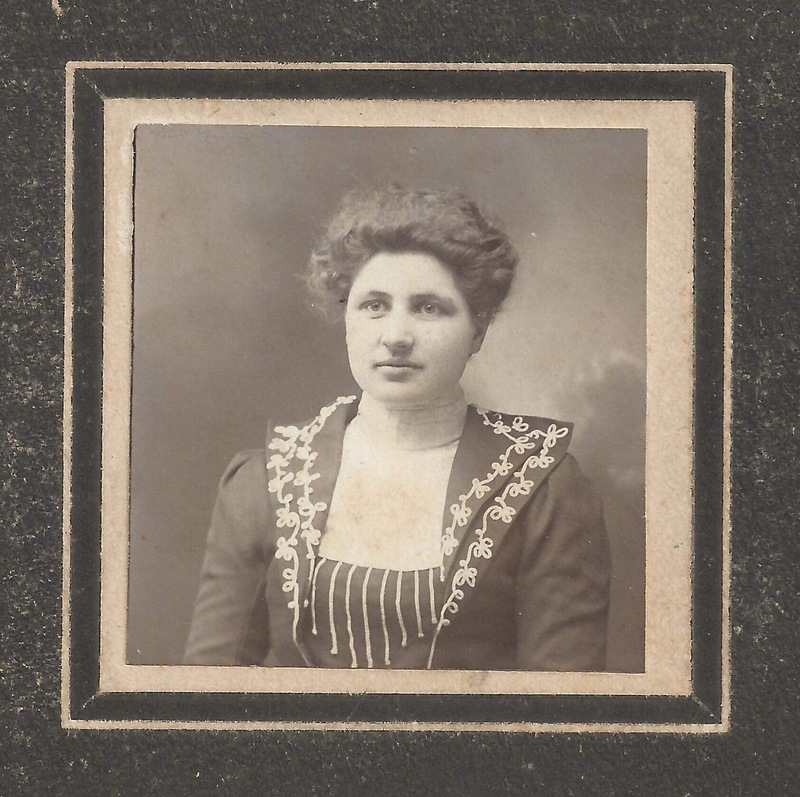 Help us with identify the photo. Edward, left and brother, John Wendzikowski show the meat market didn’t change much from when their Father operated it. Someone somewhere today probably had some of the Wendzikowski brothers homemade Polish sausage for breakfast. That someone might be in pulaski, where the brothers run their meat market, or in Chicago, somewhere in Oregon or in Arizona. “A lady bought 10 pounds this morning,” said John Wendzikowski in an interview last week. The woman plans to freeze it and take it with her when she goes to Oregon to visit her daughter, he said. A woman from Eaton used to come in and buy 70 or 80 pounds of Polish sausage for Christmas and Easter. Now living in Arizona, that woman just visited the store and bought another big order, he said. Sometimes persons from nearby Green Bay or from far away come in with big orders for their neighborhood, said John’s brother Edward. “We’ve got a guy from Chicago who comes in two or three times a year and orders 50 five pound packs,” said John. “He’s got all these people who buy it from him,” he added. Why is the Polish sausage making its way across the country? Probably because the homemade kind is difficult to find. There are a few stores in the Green Bay area that carry it. In other parts of the nation it is just plain unvailable unless you want to take the time to make your own. But what makes the store so special is not only its fresh and smoked Polish sausage but its atmosphere. Old wooden shelves display a small stock of food and cleaning necessities. The big walk-in cooler with the wood exterior is still in the corner. Oh, there have been a few innovations. The pot-bellied stove was replaced with a furnace. The old wood floor is covered with tile, and there’s a new meat counter in front of the cooler. But there’s an old world atmosphere and aromas that are extinct from modern-day supermarkets. The brothers make the sausage in the back room. This accounts for a marvelous spicy aroma that strikes customers when they walk in the door. “We have our usual customers who come year after year.” said John. When those customers enter the little store, a block from Assumption B.V.M. Church in downtown Pulaski, they enter the past. The market is about the same as it was back in 1933 when Peter and Ernest Wendzikowski bought it, according to their sons. The same year, Peter, fater of the current owners, devised his famous recipe. For the past 45 years, their Polish sasuage has been available–event during a 20-year period when market went out of the family’s hands. That’s because Edward has been working at the store 36 years. He started working for his father and continued when other owners took over. For the past 11 years, though, he and his brother John have owned the meat market. Their customers take the sausage home to highlight breakfasts and luncheons on holidays, weddings, births and funerals and any other day they can think of. “For Easter and Christmas people come from all over –Eaton, Peshtigo and Marinette–and they have to get it for their friends,” said John. The customers and their friends apparently eat a lot of sausage on the holidays. For Easter John and Edward make 7,000 pounds of sausage. Christmas usually is good for 3,000 to 4,000 pounds of business. And as long as the brothers keep running the store and making the sausage there’ll be lots of holidays spiced with that sausage that make a meal special. Article from the GB Press Gazette on Pulaski Sausage. If you have additional information on the Wendzikowski Meat Market (AKA Pulaski Meat Market) please email information and photos to: pulaskimuseum@gmail.com. A little history of the White Store located at 125 S. St. Augustine Street in Pulaski, WI. 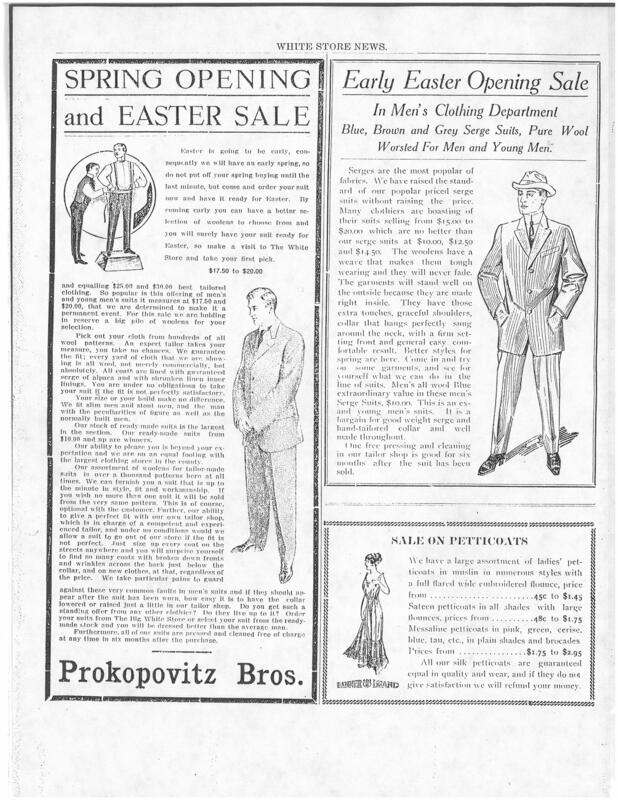 Louis and Mahlon Prokopovitz opened the original White Store in 1911. In 1915, it was relocated to 125 S. St. Augustine Street. 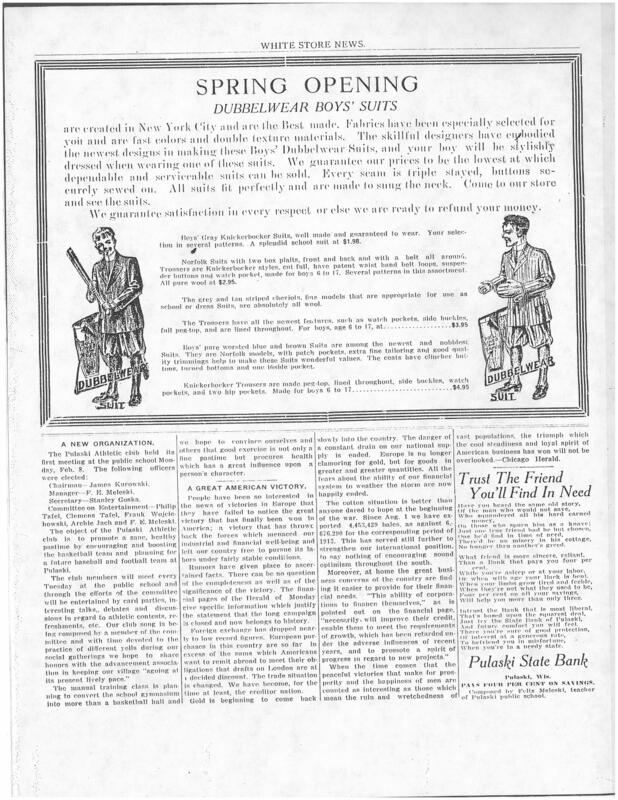 The interior photos showcase the interior of the store after it opened on October 26, 1915. White Store photos taken October 26, 1915. The White Store showcasing the interior of the store after it opened in 1915 at the second location. Interior photo of the White Store in 1915 at the second location. There was a fire in 1931, however, the store was rebuilt. A second fire in 1939 destroyed the facility. The Prokopovitz Brothers replaced the building with a concrete facility which included a state of the art movie theatre which opened in 1940 and operated for 25 years. The facility stands today and houses a school and several businesses. The Pulaski Area Historical Society proudly presents “The Pulaski Story” DVD. Pulaski’s history comes alive with a new DVD now available for purchase at the Pulaski Area Historical Society. “The Pulaski Story”, created by Steve Peplinski is based on a 1950 radio program produced by the Wisconsin College of the Air. Peplinski acquired a vintage recording of the radio program. 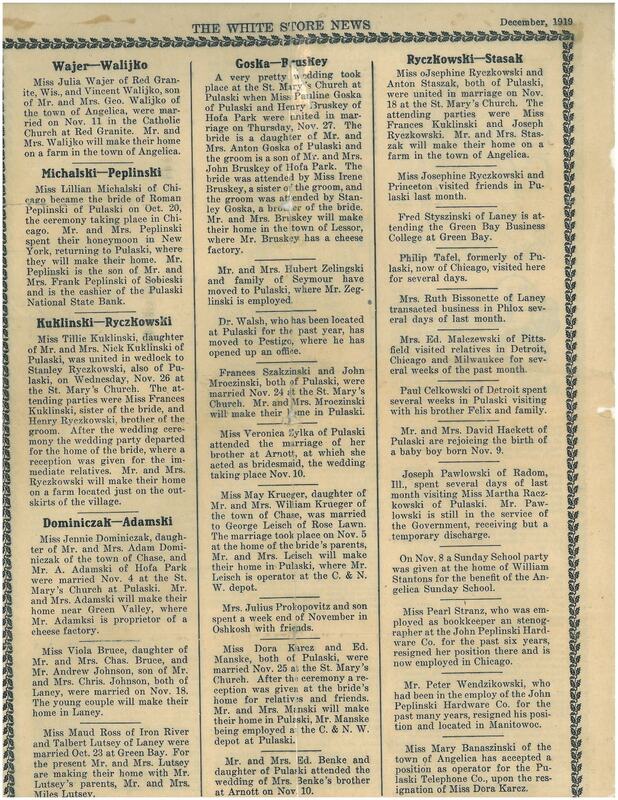 The actual voices of residents of Pulaski in 1950 tell the story of the founding and growth of Pulaski in their own words. 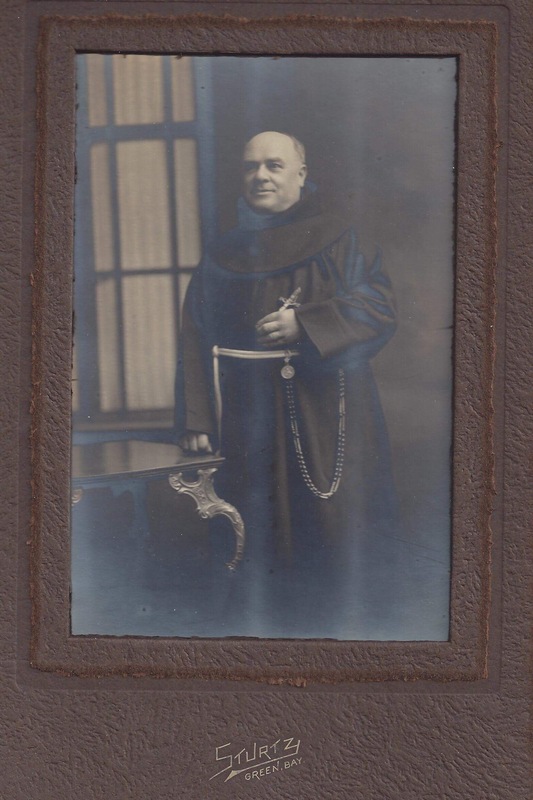 Father Fulgence Masiak explains how A Norwegian real estate developer bought the Franciscans to town by donating land for a church and monastery. Val Bialozynski recounts his father’s efforts to clear the land for farming. John Peplinski describes stringing the first telephone line from Pulaski to Angelica and starting the Pulaski State Bank in 1908. All of these events come to life with vintage photos of the town and the pioneers who built it. There are interviews with Pulaski High School teachers Emil Vandermause and Dorothy Keenan. There are performances by the Pulaski High band and Girls Glee club. The Pulaski Chase Coop, the Pulaski Merchants and Farmers Telephone company, the Farm Bureau, the Shipping Association, It’s all there. Pulaski Industries Inc. dissolved in 2001. 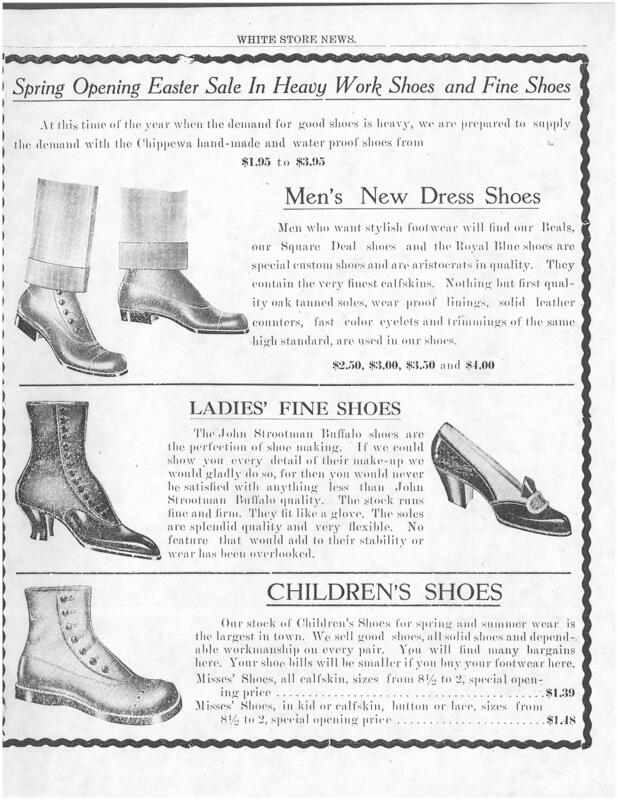 But it was a pioneering industrial development corporation funded by local folks that successfully attracted Northern Shoe to town. Frank Joswick and Bernard Lontkowski explain the how and why of it. 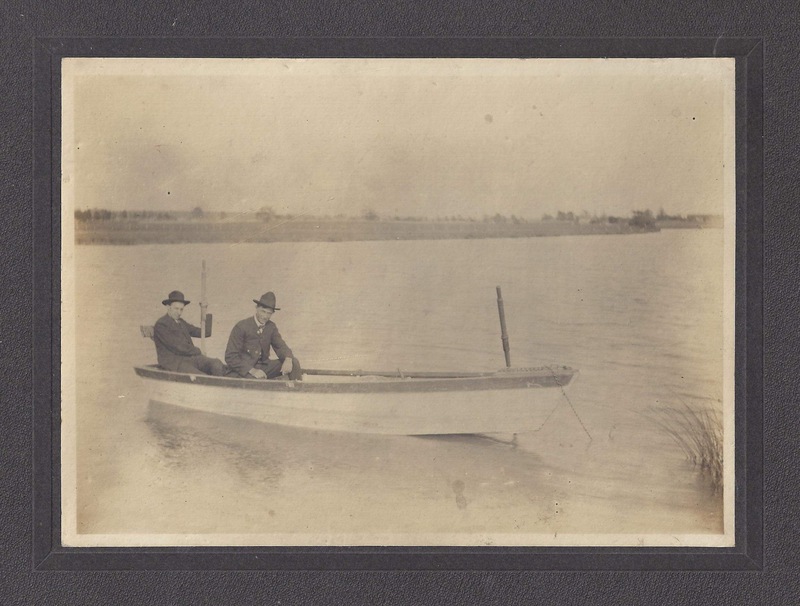 After Northern shoe, they went on to assist Carver Boat in setting up a manufacturing plant in Pulaski. That legacy has had a profound positive effect on the Pulaski Community that continues to this day with Marquis Yachts, the successor corporation to Carver Boat. 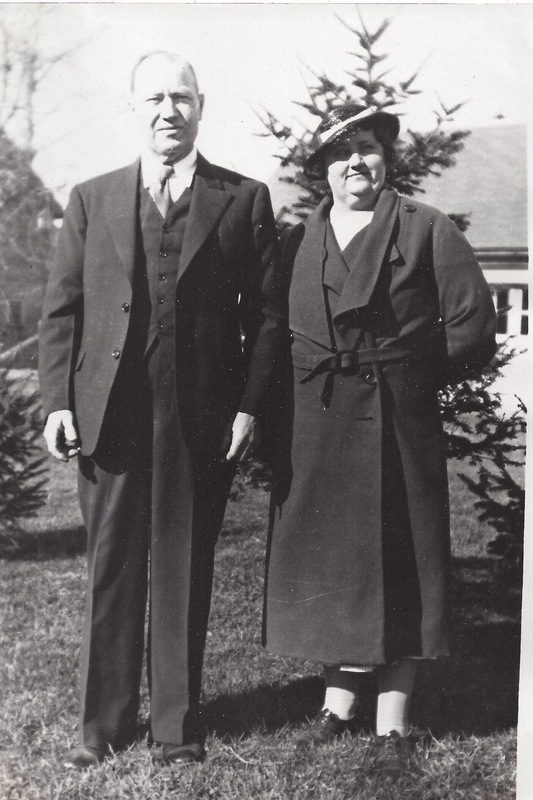 After World War II, Pulaski Resident Ed Malcheski was sent to Poland as an emissary of the American People to oversee United Nations efforts to restore Polish agriculture. Though it was common knowledge in 1950, today few residents are familiar with the story. Ed explains in his own words what it was like and why he took on the challenge. Photos from the Malcheski family archives bring a sense of intimacy to his story. Peplinski explained how he came to create the DVD. “This DVD represents the culmination of my 50 plus years of fascination with the 1950 Wisconsin College of the Air radio broadcast on which it is based. At some point in my youth, tucked away in a closet I discovered a large brown binder containing six 78 rpm records. It was a simple matter to listen to them on the family’s console record player. Later, around 1980 I wanted my own copy. I recorded them on a cassette tape. Then last year I was asked if I could develop and present a course for the UWGB’s Lifelong Learning Institute. I remembered 1950 radio broadcast and set to work looking for photos to go with the audio. I tracked down the 78 RPM records at Mom’s house and created a clean digital copy. I contacted the Historical Society looking for 1950s era photos. 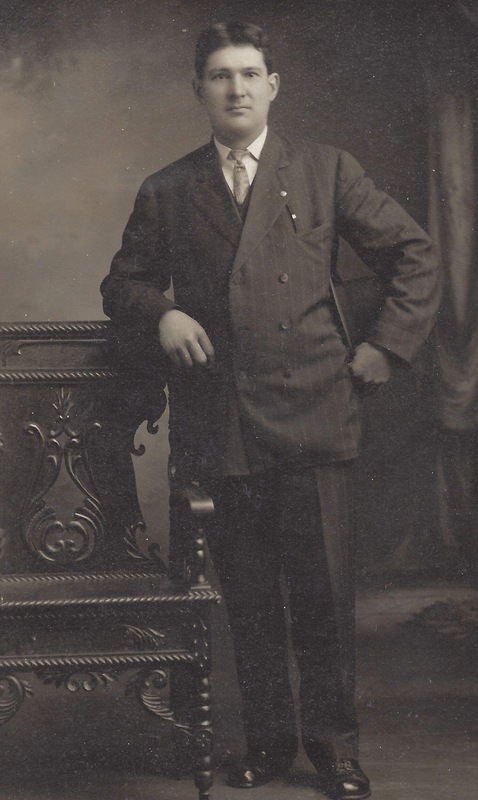 I called relatives of those who are interviewed in the broadcast to locate family photos. As the project started to take shape, the Pulaski Area Historical Society was very helpful. They took an interest, and got me involved with their museum. “I listened to the audio many many times. It never got old for me. I was impressed by the vision and commitment of those pillars of the community in the 1930s and 1940s who took the future of Pulaski Wisconsin in their hands and made it into something great. They forged Pulaski Industries and the Pulaski School District into a State and Nationally recognized recognized model for successful community service and development. As I think of this today, it is a breathtaking accomplishment. It is a history that we can all be proud of. This history can serve to inspire us today to work together so that the greatness of Pulaski is not only in the past, but stretches forward to Pulaski’s present and future. Visitors to the Pulaski Museum (located on West Pulaski Street) can watch the DVD for free during museum hours. 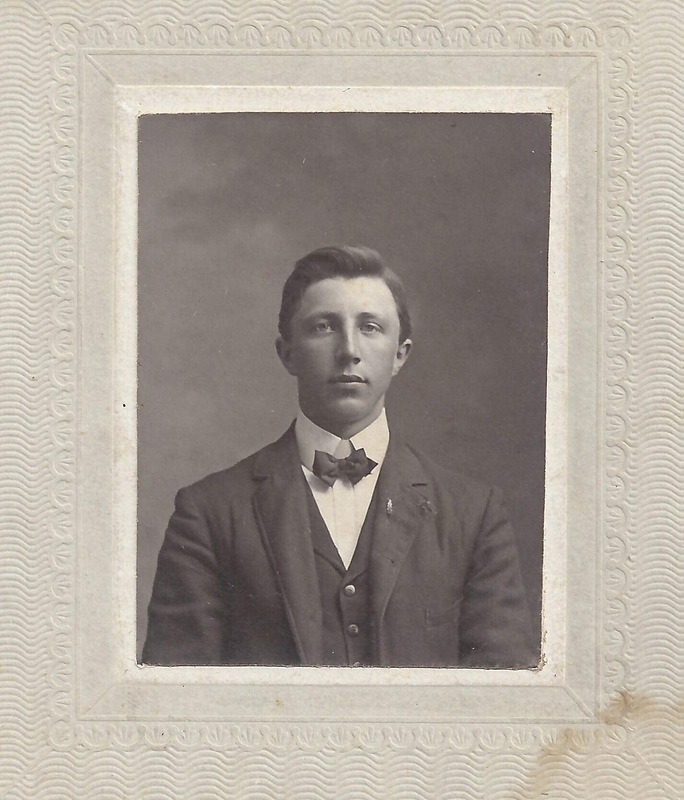 The museum has an extensive collection of documents, photos, and artifacts from Pulaski’s days gone by. Preserving these things can be costly. If you would like to help defray the cost, you can support the museum by purchasing your own copy of this unique DVD. Stop in at the Museum, or email pulaskimuseum@gmail.com for details. The DVD sells for $30.00. To order a copy by mail, contact Steve Peplinski / 4336 Thorn Hill Trl / Suamico WI 54313 email stevepep@gmail.com. Please include a check payable to the Pulaski Area Historical Society for $33 ($30 for the DVD and $3.00 postage).